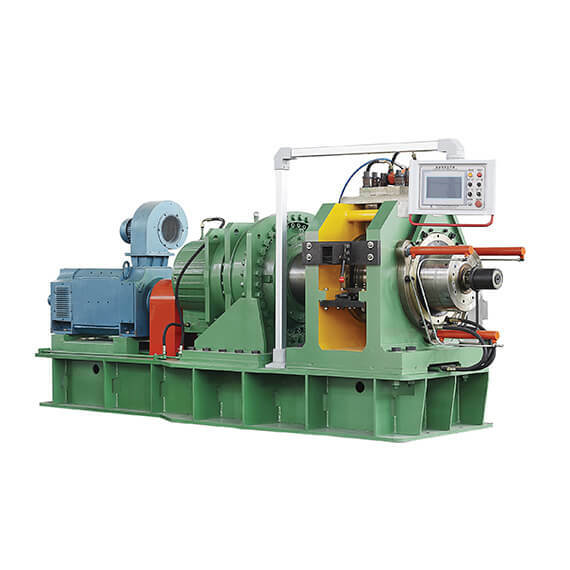 The operation section consists of compaction roller, extrusion wheel, cavity and stock guide. There is a annular groove around the extrusion wheel. The copper bar is fed from the groove. 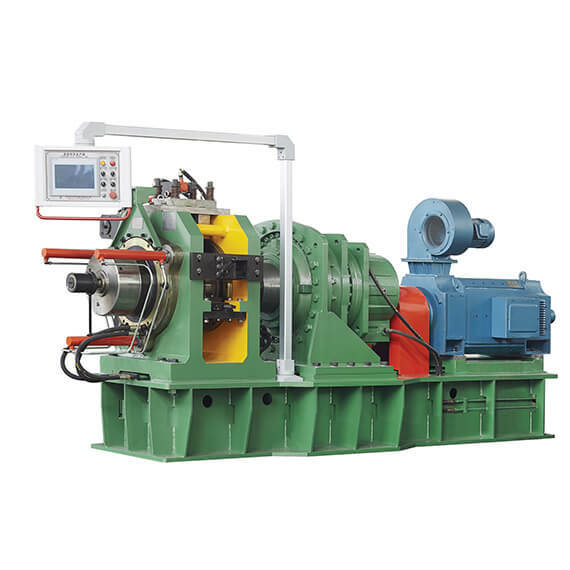 When the shoe installed with the feed guide and the cavity closes and compacts, the cambered surface of the feed guide and cavity should coincide with the circumference of the extrusion wheel and maintain a reasonable working clearance. 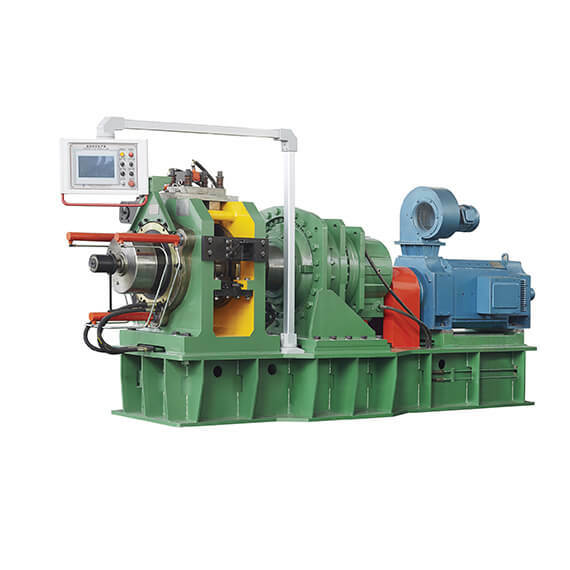 The extrusion wheel rotates under the drive of the spindle motor and the copper bar compacted by the compaction roller in the annular groove is fed continuously under the action of friction. 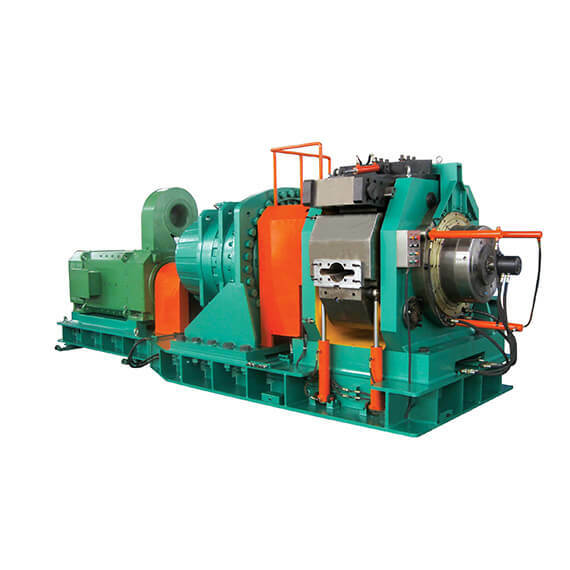 The movement of the bar in the groove is obstructed in front of the striker plate in the cavity, which will make the bar heat and deform so as to be extruded into the cavity. In the cavity, the heated and deformed bar will be squeezed out through the extrusion die to form products. 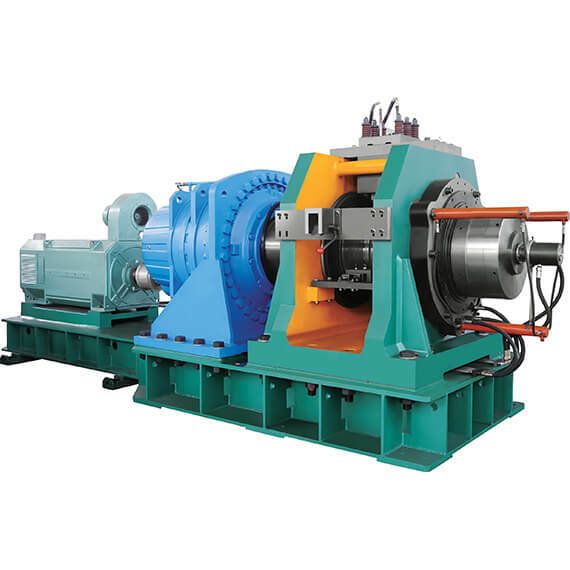 The sectional dimension and shape of the product depends upon the die. 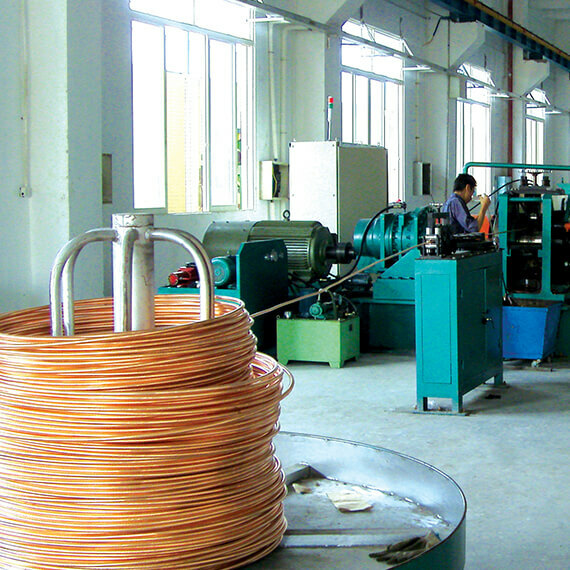 The products of different specifications can be produced through simple change of dies. ● Al pipe etc for condenser like car, air conditioner, refrigerator etc.